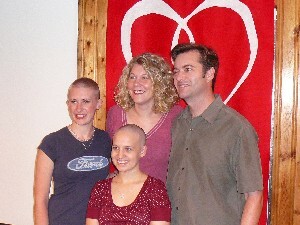 When my sister Candi told me about Shear Hope, I was a little hesitant. 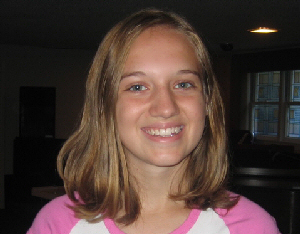 I mean, I'm in high school and the first thing that came to my mind was how mean people at my school would be if I shaved my head, but I still thought about it. 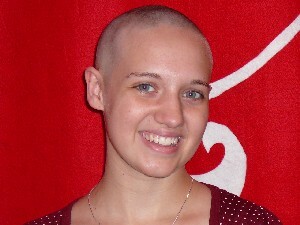 I saw the pictures on the photo gallery on shearhope.com and I saw how awesome it would be to shave my head. was shaving my head. He said he was too. I had told him I was thinking about it in the months before and he was supportive, but I we hadn't said anything about him doing it too. This has to be one of the sweetest thing he has done for me. I'm so glad we're doing it together. My dad has recently finished chemo and I think that made me see how much I could actually help someone living with cancer. Even if it's just one person or family, it's worth it. interested in learning about shear hope. This has just been a great experience for me and I'm so glad I've had the opportunity to give. 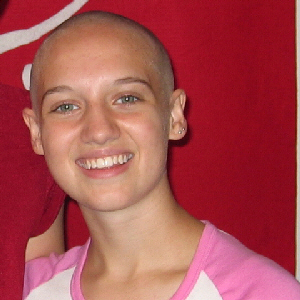 Kate re-shaved her head on Saturday, June 2nd, 2007, alongside her friend, Katie.